Treat your valentine to this delightfully tropical heart brimming with palm trees and flowers. 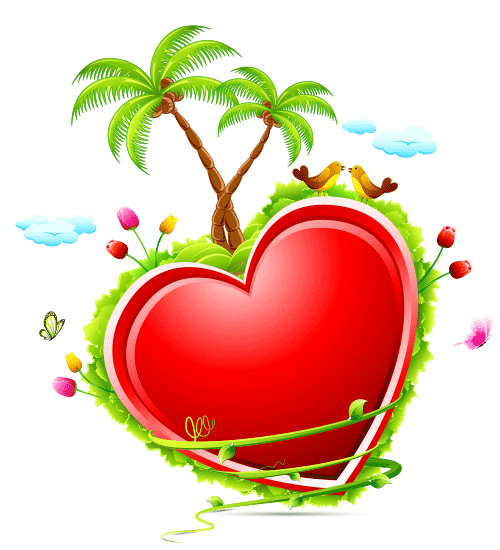 This heart is surrounded by a perpetual spring, which should definitely warm the heart of someone you love. 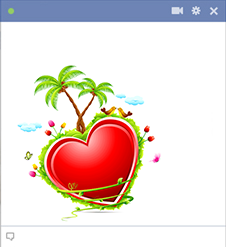 If there is someone special you're thinking of, our valentine emoticons will help you express your true feelings.